The buildings and warehouses at 50 Clayton Road were already a familiar site after ODC Design as we had moved John Sands out of these premises in late 2011. In early 2012 Aussie Farmers Direct undertook a lease on the same premises , ODC Design was appointed interior architects and project managers for the office space in the main building for the Aussie Farmers Direct call centre of 2100m2, Community Hub luncheon and point of sale area 300m2 and 2 large cool room warehouse storage and dispatch areas over 6500m2. Working with one of the fastest growing company / franchise in Australia, Aussie Farmers Direct vision was to relocate and build a solid foundation and grounding for the dispatch and sales side of the business and at the same time continue to provide quality customer service and goods to the public to promote healthy and organic Australian produce. 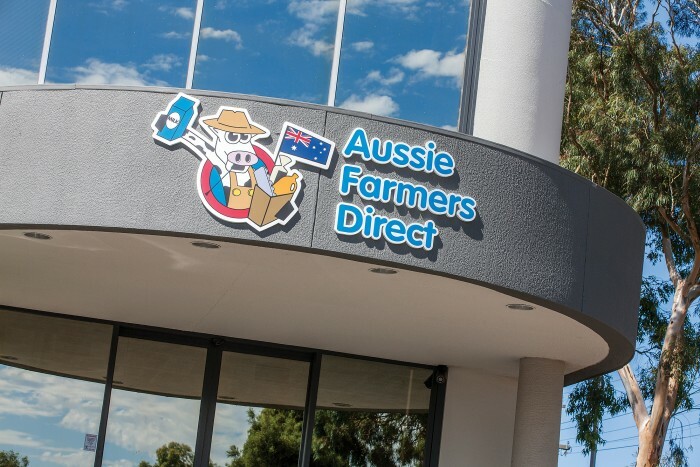 The significance of the project was of large scale with various different levels of design and construction from office space to warehouse cool rooms, ODC Design ultimately completed the project on time, on budget and it was a pleasure to collaborate with Aussie Farmers Direct who was easy to work with and very understanding of the design and construction phases to achieve their overall needs, our business relationship effectively achieved the most outstanding result for all parts of the Aussie Farmers Direct business units.